Frustratingly, I’m actually happy with none of these times but, well, it’s a gradual progress I guess. Rewinding back to last Saturday, I got my first PB for the Dulwich parkrun in 17.24 – not as fast as my track PB for 5k but my fastest so far around this course. So that’s my first “clutching at straws” PB. Last but not least in terms of clutching at straws was the ‘Night of the 10,000 PBs’ today, a great day of running organised by Highgate Harriers which included loud music, a (bouncy) DJ on track, a bar (also on track), salsa dancers, Ronnie O’Sullivan giving out awards and over 1,000 spectators! It was like no other track event I’ve been to (which are normally only attended by runners or coaches). It also had live streaming of the event online but, thankfully, it didn’t appear to have shown my race! You might be surprised to hear I set off like an arrow as usual, got caught up and eventually finished in 36.40. 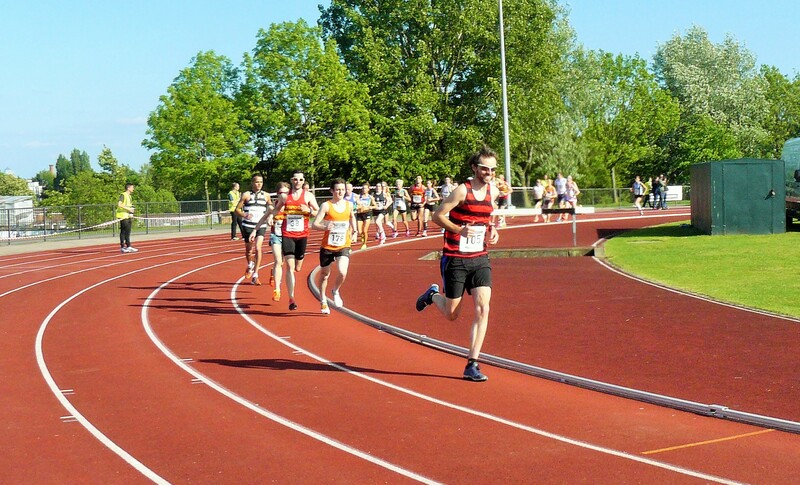 Technically, it’s not my PB over this distance (by 30 seconds) buuuttt….it’s the first 10,000m I’ve done on track (not road) so it is my final tenuous PB of the week! I’d say more about the event as it was extremely fun but, in exciting news, I’ve been asked to write about it for the next issue of Men’s Running magazine so I’m sure I’d be infringing some copyright issues if I divulged all my wit and hilarious comments here! Next race is BUPA 10k in ten days’ time. I just need to. learn. to. pace. myself!